Strikeforce: Henderson vs. Babalu 2 has lost two of its televised fights in the past week. Former NFL star Herschel Walker was forced out of his sophomore MMA effort after suffering a cut in training that required seven stitches. Valentijn Overeem, brother of Strikeforce heavyweight champion Alistair Overeem, suffered a reported elbow injury that scratched his promotional debut against heavyweight contender Antonio “Bigfoot” Silva. Scrambling to find replacements, Strikeforce has had difficulty finding bouts suitable for the Showtime televised slots. Strikeforce Director of Communications Mike Afromowitz on Monday, however, confirmed to MMAWeekly.com that they have tapped Mike Kyle, a former heavyweight that has been rising up the light heavyweight ranks, to step in and fight Silva on the Showtime portion of the Henderson vs. Babalu 2 fight card. Silva (14-2) had Fabricio Werdum put an end to a six-fight winning streak to close out 2009. He bounced back with a unanimous decision victory over former UFC heavyweight champion Andrei Arlovski in May, and will be looking to build on that momentum. Kyle (18-7-1) has won five of his last six fights, with one of the six being a win that was later overturned to a No Contest. Two of those victories were title fights, one for XMMA in Australia and one to capture the King of the Cage light heavyweight championship. 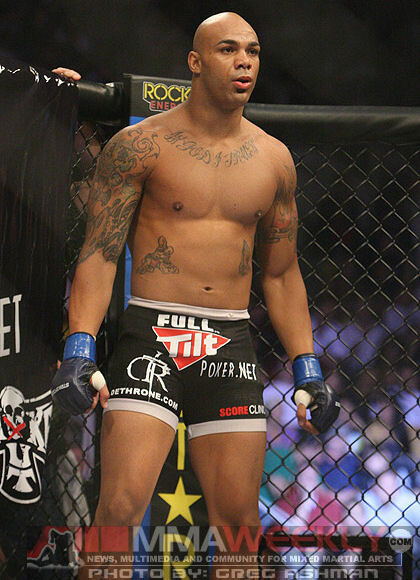 He also holds a win over current Strikeforce light heavyweight titleholder Rafael “Feijao” Cavalcante. Kyle’s most recent loss was also to Werdum in a heavyweight contest in August of 2009. Former Pride champion Dan Henderson and former Strikeforce champion Renato “Babalu” Sobral headline the card in a rematch of a bout that took place nearly a decade ago. There has been no word yet on a replacement for Herschel Walker or whether or not an entirely new fight will take the televised spot of his previously scheduled bout against Scott Carson.